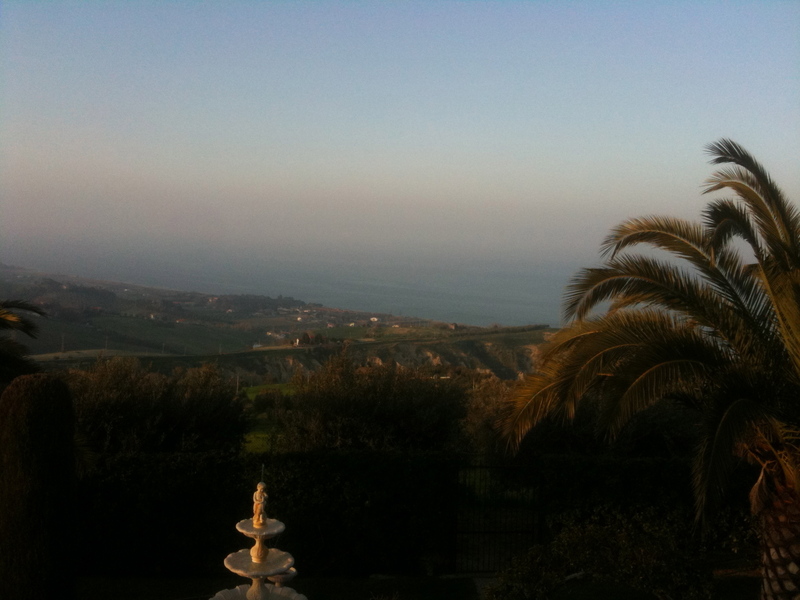 Do you consider Abruzzo a Southern Italian region? Well technically yes, but I consider it more central rather than Southern. When I first started importing Italian wines to Australia, I knew I had to focus on not just the top end dollar wise of importing, but also look at importing wines that offered value for money but still with a sense of regionality. I was not interested in importing cheap Italian Cabernet Sauvignon, Shiraz or Chardonnay. What is the point, you might as well buy them from Australia.I was more looking for native varieties from each region that I could buy and sell to retail in Australia for under $20 a bottle. Fast forward five years and we have been able to do this and build a strong reputation for Mondo Imports in Australia for offering Southern Italian wines from native varieties grown in the region they originate. So for Abruzzo, it is Montepulciano and Trebbiano. For these grape varieties we chose to work with the guys from Gran Sasso and now looking back at it, it was one of the best decisions we have ever made. They are forward thinking, promote indigenous varieties and are willing to plant and promote these wines around the world. The 2010 vintage of the Gran Sasso Montepulciano d’Abruzzo has just been released and already wine journalists like Gary Walsh and Jane Faulkner have been blown away by the quality of this wine for $10 a bottle. On radio 3AW last week, Jane Faulkner challenged the audience to find a better $10 red in the Australian market. A big call but one that has merit. Last year in Abruzzo we tried this wine in tank and it looked good. Once stocks arrived in December and I tried the finished product in bottle it was obvious that this wine was something else and each bottle I have had either with family or friends has put a smile on my face. Whilst I have around 10,000 bottles of this wine in our warehouse, I have already emailed Italy for another 12,000 bottles to be prepared for shipment in a couple of weeks. I will most likely need to do the same in a months time. The last time this happened for our company was for the first vintage of Gran Sasso Montepulciano d’Abruzzo which was 2008. In the end, we sold around 150,000 bottles of this vintage and once more samples go out to more journalists in Australia I can see the domino effect happening. Below is a bit of information and history about Gran Sasso. The Gran Sasso vineyards are situated among the hills in the provinces of Chieti and Teramo in the region of Abruzzo while the beautiful modern winery is located in the town of Ortona. Abruzzo is located in the central eastern part of Italy on the coast of the Adriatic Sea. 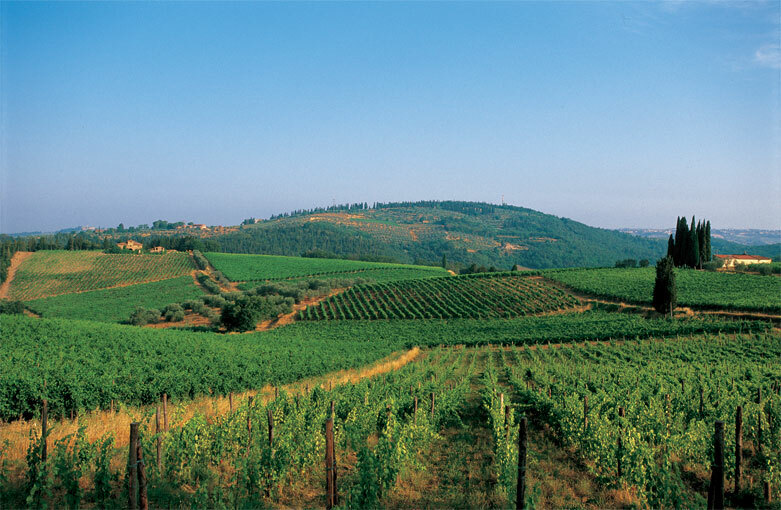 The unique position of the vineyards allows them to benefit from the sea and mountain breezes, producing wines that are full in body and truly represent the characteristics of the region. Valentino Sciotti is involved with a number of wineries in Puglia, Campania (he is the man behind Vesevo) and his native Abruzzi. The Gran Sasso wines are made by young winemaker Marco Flacco and display a freshness and directness of fruit that is seldom found in this region. Most Montepulciano at this price comes either from negociants buying bulk wines or from co-ops, neither of whom work as well or as closely with their growers as Valentino and his team. The grapes for this wine are grown in 15-20 year old vineyards in the production zones of Ortona, San Salvo and Pollutri. This wine is deep ruby red in colour with garnet reflections. It is clean, fresh and plummy on the nose, rich, supple and accessible on the palate. It is balanced and full-bodied with good tannins. The fresh, primary fruit characters are maximised by the fact that it does not age in oak, making it approachable and ready to drink. In the past few years, it has been hard to think why my family would want to leave a place like Italy behind? So beautiful in every sense of the word. However, the economic realities and just how well Australia has continued to grow in the harsh times maybe gives me an understanding on just how hard Italy was in the post war early 1950’s. 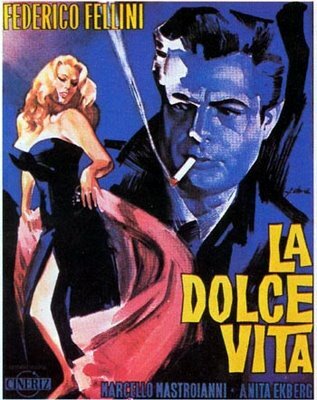 We take ‘la dolce vita’ for granted. In Italy this has not always been the case. Many in the past have struggled to find employment and also put food on the family table. It seems that whilst we have not returned to the depressive state of Italy post World War Two, we can at least understand just how hard life was. As an importer of Italian wine into Australia, the amount of emails and phone calls from wineries I have never heard of, offering free samples, massive discounts and endless trading terms is not something I take pleasure in. I like to pay my wineries (most of them within a few weeks of placing the order) as quickly as possible as we know as an exporter of our own wines, just how important this is. However, I see that there is no turning back on the hard road for a long time for Italian wineries. The world is flooded with so much wine, as an importer we not only have to complete with Australian wines, but also the wines of France, Spain and many many emerging markets like Chile and Argentina in Australia. Furthermore there is also only so many wineries we can take on board. My idea of a complete portfolio is not to have 100 producers in our portfolio. For me, this serves no purpose. This year we have stopped importing one winery from the north and taken on a new winery from the South. We will most likely have a new winery from Campania and then that is it. I could not give the level of support and effort to more than this. So what happens to all the wineries emailing and phoning me from Italy to look at and hopefully import their wines? Well the realistic answer is that nothing will happen. A polite email back or phone call to say ‘thanks, but no thanks’ will be as close as they come to Mondo Imports in Australia. This is the sad truth. It may be the case that this is the same scenario with most markets around the world. In Australia our economy has been well placed after the hiccup of the GFC and we have seen massive growth in our business in the last few years. Spare a thought to markets like America and the United Kingdon. They already reached saturation point a few years ago and would be most likely looking to cull rather than expand their portfolio’s. So this leaves many Italian wineries squeezed out of many markets: unable to even gain entry to these markets as depressed economic conditions turns things from bad to worse. This means that they will have to concentrate on their own domestic market. In the past, it may have been easier to neglect the Italian market with USA, UK and the rest of the world creating an almost unstoppable demand for Italian wine. Obviously this not the case now. Those wineries that have been conservative and not taken on too debt will be able to baton down the hatches and ride these tough times out. 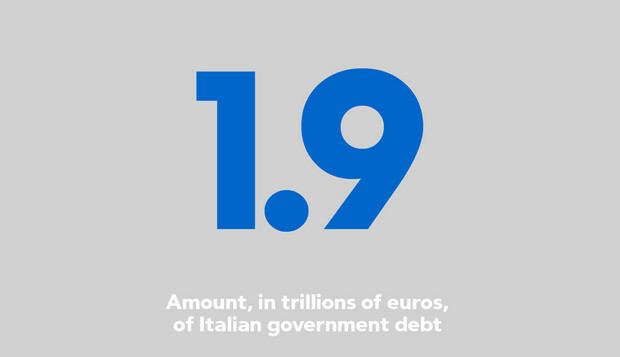 However, if they are like the Italian Government and borrowed without any regard, then this will be the beginning of the end for many. In tough times, large amounts of debt is like a terminal illness. Next week starts the beginning of winemaker visits from Italy and I will be fascinated to hear what conditions are like on the ground in Italy. In March I will see these conditions first hand and get a grip on just how bad things are. Let’s hope that the depressing conditions that currently exist in world economies can improve. Currently I see no light at the end of the tunnel. 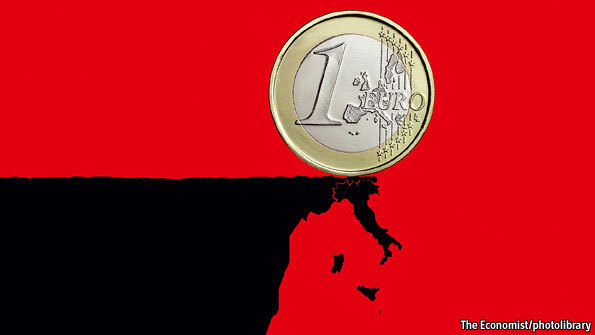 Italy and the rest of Europe need to get a handle on the situation otherwise we are going to see the demise of the euro and who knows what else very quickly. The king and queen of Barbaresco…. Whilst I am in Alba I will spend most of my week there visiting the wineries we represent in Australia (Roagna, Traversa, Bruno Porro, Paolo Saracco-Vic, Piero Benevelli, etc) but I also try and visit the king and queen of Barbaresco. For me it is Aldo Vacca and Gaia Gaja from Produttori del Barbaresco and Gaja respectively. Not only do they make some of the best Barbaresco in the world, they are also humble people who have a passion for the Langhe and are willing to share their time and knowledge with the rest of the world. It will be, as is always the case, one of the highlights of my trip to Italy. On my last visit to Barbaresco, I missed catching up with Gaia, so I look forward to trying some of the new releases on this visit to the winery. Over the last few months I have had some magnificent bottles of Brunello that have left me gobsmacked. 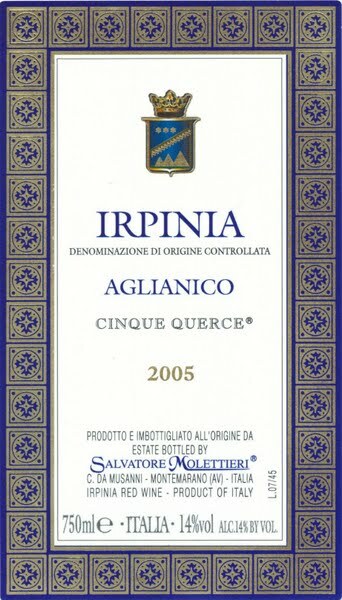 Fuligni http://www.fuligni.it/eng/azienda_en.html has featured strongly in this with a bottle of the 1990 up there with one of the best bottles I have drunk from 2011. 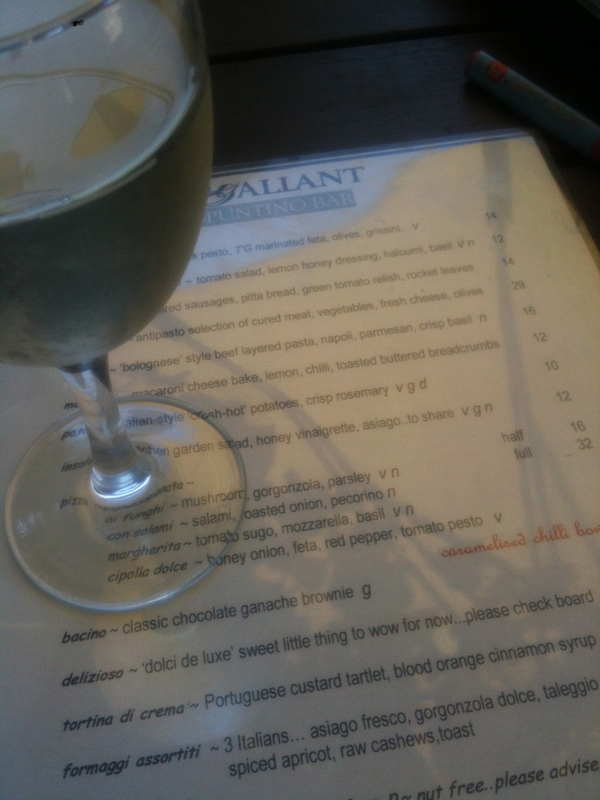 The bottle of 1990 was shared with friends at one of our favorite restaurants. It was paired with some other great wines (like 1989 Viette Castiglione Barolo) and it was by far, head and shoulders above all other wines on the night. This week I have had a bottle of the 2004 Fuligni and it again left me in awe of it’s quality. Sometimes you just need to be reminded by great bottles, just how GREAT some varieties are. 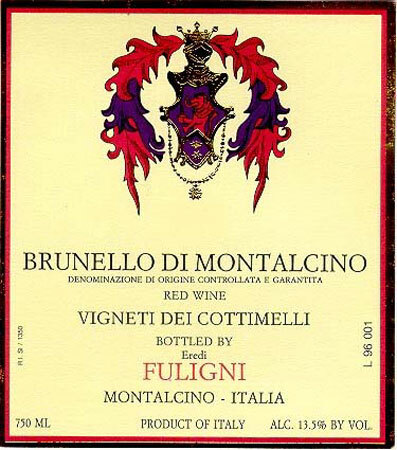 I have always loved to buy and drink Brunello. However, I no longer import into Australia as I have found that most of the Brunello producers I have spoken with treat it as a business first, and then as a labor of love second. I prefer the other way round. 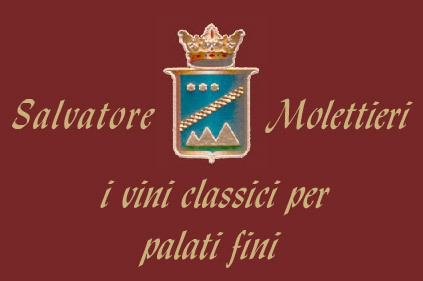 I am heading to Montalcino for a couple of days shortly and I can’t wait. Will I find some other outstanding producers? Or will they all pale into comparison? The vines, which extend over ten hectares, are primarily located at Cottimelli at altitudes varying from 380 to 450 meters above sea level. Here, the land, which predominantly faces east, belongs entirely to the Santa Fiora (marl) geological formation of Eocene origin and is made up of a prevalently rocky terrain. New vines have been planted facing southeast on land which is a mix of “tufo” and clay. The average age of the vines is about twelve years while some others date back over thirty years preserving the old Sangiovese clones of the estate with a lesser density per hectare. The cultivation system is the classic two-strand trellis with a limited load of buds per plant and with a density which varies from 3.333 to 5.000 main stems per hectare. A thorough pruning is done which involves the important process of thinning out the grapes to ensure a yield per hectare ranging, on average, from 50 to 55 hundred kilos of grapes. The harvest is done manually and includes the personal participation of the owners with frequently repeated walks between the rows of vines to guarantee a rigorous selection of grapes. 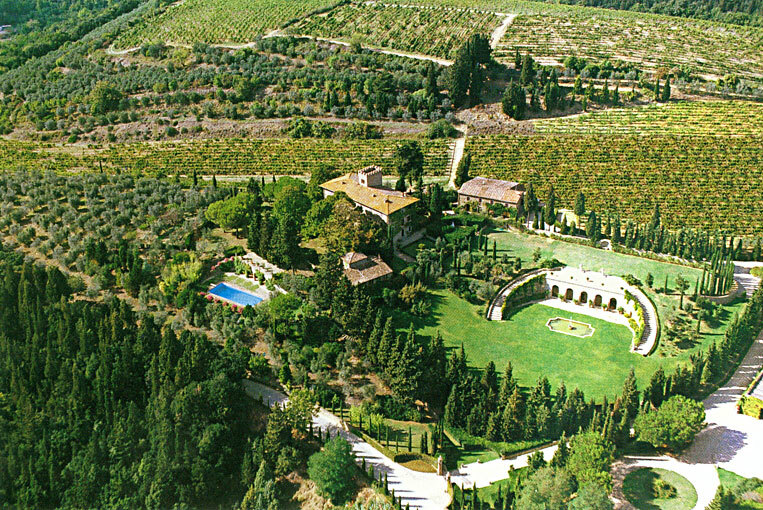 The various Fuligni vineyards, S. Giovanni, Il Piano, Ginestreto and La Bandita are harvested separately according to their type of land and exposure, and are subsequently brought together keeping in mind the type of wine they are destined to become (Brunello, Brunello Reserve, Rosso DOC).